1	3	Peter the Redemption DVD	In Stock - Order before 4pm for same day dispatchWant it on Wednesday 24 April? In 64 AD, after secretly setting his city ablaze to create more space for his palace, the Emperor Nero lays the blame on the new Christian sect and orders their arrest. Their leader, the Apostle Peter is thrown into prison where he is tortured. When Peter is pushed to the brink of death, Nero orders Susanna, a servant of his wife, to keep him alive and secure a confession. During her visits to the prison, Susanna develops a relationship with Martinian, a Roman soldier. Influenced by both his feelings for Susanna and the stories of Peter, Martinian comes to realise that it is not the Christians who are the criminals, but rather his own Emperor. When Susanna is discovered to be a secret Christian, and is arrested, Martinian must face a choice between abandoning her to her fate, or facing Nero and putting his own career, and life, on the line. Starring John Rhys-Davies (Lord of the Rings Trilogy, Raiders of the Lost Ark), Stephen Baldwin (The Usual Suspects, Born on the fourth of July), Steve Byers (Total Recall, The Immortals) and Bobbie Phillips (Show Girls, The X-Files), Peter: The Redemption is an inspiring story of love, courage, and unwavering faith. 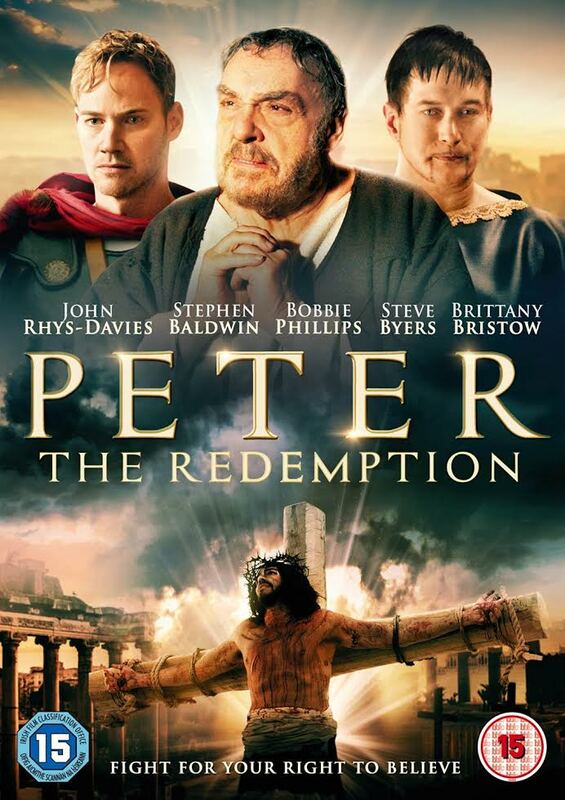 Peter the Redemption DVD was published by Kaleidoscope Home Entertainment in October 2016 and is our 13889th best seller. The ISBN for Peter the Redemption DVD is 5060192817379. Quite violent, do not think that there is any need for it. Although the story was clear and well acted. Got a question? No problem! Just click here to ask us about Peter the Redemption DVD.